Most of The Learning ZONE participating families are from the immediate neighborhood surrounding The Learning ZONE. We serve the Grand View Elementary / Mark Twain Middle School / Venice High School boundary district of LAUSD. We also have students from Culver City Middle School, La Ballona Elementary and other schools in the general area. Several of the program’s families have both parents working. The Learning ZONE offers these kids a safe place to have a healthy snack, play, learn and complete their homework. Field trips, family events and other special gatherings throughout the school year make the Learning ZONE a fun, community-building endeavor. Families are also strongly encouraged to volunteer for the various activities and fundraisers held by the program. The mentors of The Learning ZONE are a group of carefully-screened volunteers who love and care for the youth in our community. 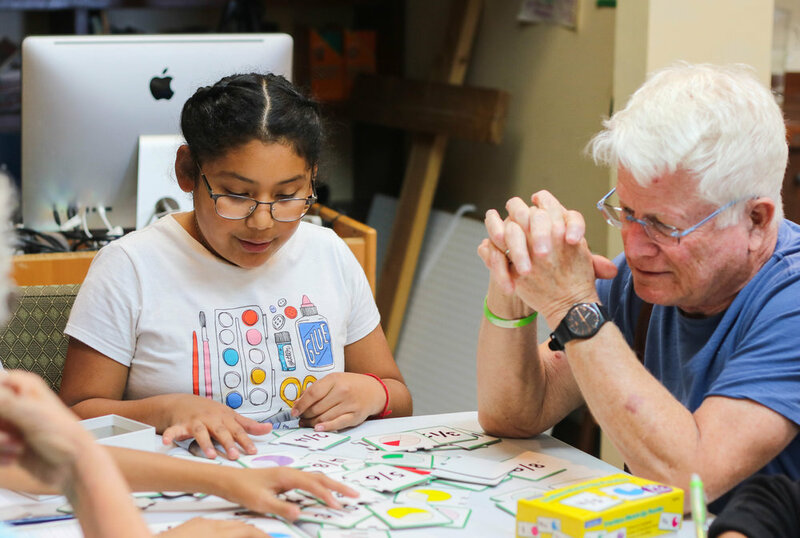 Whether a college student, a senior retiree or someone in between, the program’s mentors are faithful and dedicated to helping change the trajectory of the lives of the future leaders of the community. We operate in partnership with Westside Vineyard Church. The Westside Vineyard considers The Learning ZONE a major ministry program. We receive a very generous amount of financial support from Westside Vineyard as a local missional partner.